Cannabis stocks are probably years away from paying a dividend back to consumers but if the cigarette sin stocks are any indication, there could be significant dividends for investors. Interestingly enough, the cannabis stocks are not part of the consumer defensive sectors, where the cigarette companies are represented, but part of the healthcare sector part of the drug manufacturer industry. Makes sense, the companies make a drug. A lot of people have been waiting for the legalization date and placed their bets ahead of time. As the official date came around, more attention was given to the cannabis companies to help investors understand the business and the strengths/weaknesses of each companies. As it happens, there is a North American Marijuana Index with 62 constituents. Most of the data I have seen around indexes and ETFs date back to the early 2017. There was money to be made if you were willing to be patient and take the risk. Now you have to either find your stock amongst 62 and learn about their business or just invest in the index. The HORIZONS MARIJUANA LIFE SCIENCES INDEX ETF performance against the TSX and SP500 since inception is below for your consideration. The list of companies below are some of the largest cannabis drug manufacturer in Canada to look into and decide if you are better to buy the index or to even stay away from marijuana. Canopy Growth Corp. is a leading diversified cannabis company based in Canada. Canopy Growth has operations in 11 countries across 5 continents, in Americas, Africa, Oceania and Europe. The company has a presence across the entire chain from cultivation, harvest, cure, trimming and packaging, using high quality input nutrients. Canopy Growth owns and partners with various cannabis production platforms and operates a strong network of both retail and online channels. A strong supply chain infrastructure and large capacity footprint enables the company to meet the diverse needs of Canadian and global cannabis consumers. Leading global beverage company, Constellation Brands NYSE:STZ owns a 38% stake in Canopy. This parentage has given Canopy a global lead in terms of size, scale and strength. Canopy’s dominant presence has enabled the company to enter into 8 supply agreements for 67,500 kg annually. Canopy Growth is known for providing distinct cannabis varieties in dried, oil and capsule forms. The company has a bouquet of owned brands (Tweed, Spectrum) as well as affiliate brands (DNA, Green House etc.) under the “Canopy” umbrella. Tweed is the most recognized cannabis brand in the world known for its quality while Spectrum Cannabis is Canopy Growth’s international medical brand. Canopy Growth is the Canadian leader in global medical cannabis market with more than 85,000 patients. The company also educates consumers to use cannabis responsibly. 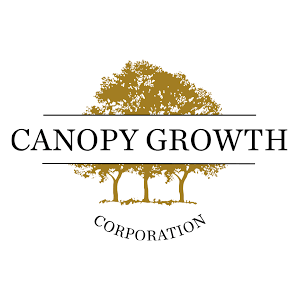 Canopy Growth was the first cannabis company in North America to become publicly traded in April 2014. Strong brand name, leading market position and product differentiation are Canopy Growth’s strong competitive advantages. Deep expertise and industry knowledge as well as well-established R&D and production capabilities form a wide moat around Canopy’s business. Canopy has ample amount of cash in hand and also enjoys strong backing from Constellation Brands. Given its strong market position, Canopy stands a good chance to benefit from legalisation of cannabis for medical and adult use worldwide. The company would benefit from a global potential cannabis market opportunity of $200 billion by 2032. Canada was an early supporter of medical marijuana and there are expectations that the country will soon legalise cannabis for recreational purpose. Canopy’s leading market share positions the company to become a Canadian market leader of the medical and recreational cannabis industry. Given the company’s large geographical footprint and international expansion plans, it should also grow from legalisation in other countries. Aurora Cannabis is a leading medical marijuana producer. It engages in cultivating, harvesting and selling of medical marijuana in Canada. Aurora benefits from its sheer scale having state of art production facilities as well as an extensive distribution network. This scale results in low production costs and industry leading yields. The company owns a large number of distribution channels in Canada and internationally. Aurora has an industry leading scale with 11 production facilities having 570,000 kg/ year of funded capacity. The company aims at converting them into production capacity by the end of 2019, making it the largest cannabis producer by aggregate annual production. In addition, the company owns two extensive and fully operational production facilities in Canada where plants are harvested. The company also has a presence in Germany, Denmark, Italy and Australia. As capacity increases, Aurora will benefit from economies of scale and its production (per gram) costs should fall. Other than organic growth, Aurora is also growing through active acquisitions with CanniMed Therapeutics and MedReleaf being the big ones in 2018. Aurora Cannabis owns a diverse product portfolio including topical creams and capsules of medical as well as recreational marijuana. Its established and well-recognized medical and consumer brands include MedReleaf, CanniMed, San Rafael etc. The company even deploys a mobile app for ordering medically prescribed cannabis, and offers same day delivery in select provinces. Other than its scale and product portfolio, the company deploys a team of 40 dedicated researchers to add meaningful and innovative products. The team is focusing on treatment of critical diseases like sleep disorders, Parkinson’s disease, neuropathic pain, appetite and anxiety etc. Patients prefer Aurora for its product quality, customer service, and affordable pricing. Low production cost, extensive distribution channels and strong R&D capabilities are Aurora Cannabis’ strengths. Aurora should also benefit from the legalisation of cannabis for adult use, which is due to happen around mid of October in Canada. The company is actively building up its inventory base to support surging orders. 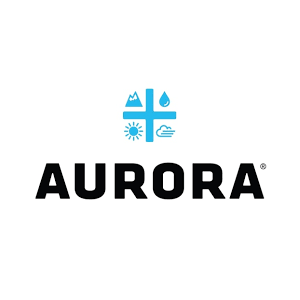 Aurora is a global cannabis company with expertise across the entire value chain. An early mover advantage makes it well positioned to capitalize from future growth opportunities. Aphria is a leading medical cannabis Canadian company (licenced to produce and sell medical cannabis since November 2014). It engages in production, distribution and supply of high-quality cannabis globally in over 12 countries. Aphria provides a wide range of products like cannabis capsules, oral solutions, concentrate syringes, and THC & CBD vaporizers. It focuses on growing medical cannabis in greenhouses using most natural conditions. Aphria’s portfolio boasts of more than 30 dried flower products, 4 softgels, 7 activated cannabis oil products and other innovative products. Aphria is recognized by health authorities in over 10 countries across five continents. The company is known for producing high-quality, safe and pure pharmaceutical-grade cannabis and owns a huge portfolio of recreational and premium brands. Broken Coast and Aphria recreational brands, including Solei are the big ones. Extensive research has enabled Aphria to create products focusing on different segments of consumers, ranging from first-timers to experienced users and those in between. Aphria will be soon launching a new suite of adult use brands post legalisation in Canada. Aphria has extensive distribution agreements with medical channels and also sells online. Its Solie brand is licensed to be sold in the U.S. The company also has a distribution partnership with Southern Glazer’s, North America’s largest spirits distributor, to provide 100% retail coverage of Aphria’s products. 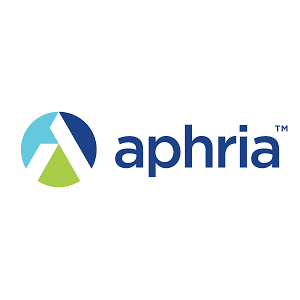 Aphria is deploying a strategic mix of innovation, partnerships and global expansion in order to become a leading cannabis company globally. The company is expanding its presence in the U.S. through Aphria US, which will focus on key states that have approved medical use of marijuana. Aphria is one of Canada’s lowest cost producers with a cash cost of $0.95 per gram. The company has ample capacity to meet rising global demand. Its total annual production capacity is estimated to increase to 255,000 kg in 2019 from 34,500 kg today. Rich agriculture expertise, growing production capacity, a global footprint and a strong balance sheet are Aphria’s strong competitive strengths. Cronos is a geographically diversified marijuana company with operations spanning across four continents. The company is vertically integrated having a presence across production, extraction, manufacturing and R&D. Cronos, through its 100% subsidiaries Peace Naturals and Original BC are licensed to produce and sell medical marijuana and cultivate cannabis oil. It also has multiple international production and distribution platforms in Germany, Israel and Australia. Cronos’ exclusive supply deal with large German pharmaceutical distributor Pohl-Boskamp gives it a good opportunity to expand in Germany. The company also has exclusive distribution agreements with pharmaceutical wholesalers to supply to geographically diverse medical markets. Cronos is focusing on building an international brand portfolio. COVE is Cronos’ premium recreational brand, known for its high quality and terpene rich odor. It recently launched its second brand for domestic recreational market called Spinach with an intention to leverage from the upcoming Canadian legalisation of cannabis for recreational purposes. 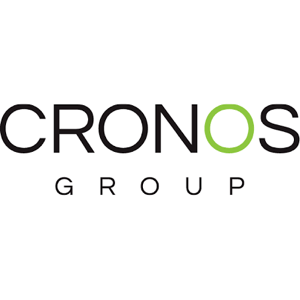 Cronos also entered into an agreement to produce a full spectrum of high purity cannabinoids at scale. Cannabinoids have demonstrated a strong potential for medicinal uses in diseases such as chronic pain, nervous disorders, nausea, weight loss, and other mental illnesses, and thus have a huge market potential. Cronos’ partnership with Gingko should reduce the cost of production and increase scale. Legal cannabis is poised to become a multibillion-dollar industry and cannabis providers need to keep innovating to catch up with growing demand for better products. Deep understanding of the plant’s biological structure gives a strong competitive edge to Cronos. An iconic portfolio of products, extensive manufacturing and distribution facilities and IP form a deep moat around Cronos’ business. There is also a possibility of Cronos entering into a prospective partnership with one of the world’s largest beverage makers Diageo Plc (NYSE:DEO), which intends to make marijuana infused beverages. The company would be in a good position to increase its bottom line, if it can successfully close this deal. 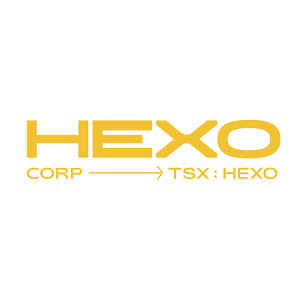 HEXO formerly known as The Hydropothecary Corporation is a leading Canadian cannabis company. It is a recognized leader in the medical cannabis space in Canada. The company operates through its 310,000 sq. ft. production facility with construction of another 1,000,000 sq. ft. underway. HEXO is increasing its production capacity to cater to the adult-use cannabis market. In addition, the company has extensive and secured channels of cannabis distribution in the provinces of Quebec and British Columbia. HEXO further intends to establish distribution in the provinces of Alberta and Saskatchewan, through an agreement with corporate cannabis retailer, Fire & Flower Inc. The company keeps entering into various distribution agreements and joint ventures from time to time in order to expand its geographic reach. The latest one being a partnership with the Greek company Qannabos, which is directed towards increasing HEXO’s presence in France, the UK, and other European markets. HEXO would have a good chance to leverage its medical cannabis expertise in the Greek market which is yet to license any cannabis producers in the country. It will also grant HEXO a first mover advantage in the adult-use cannabis market in Europe. HEXO serves the adult-use market under the HEXO brand, while its medical cannabis clients are sold products under the Hydropothecary brand. HEXO is known for its innovative, easy-to-use and convenient products. It also entered into an agreement with leading beverage company Molson Coors to focus on non-alcoholic, cannabis-infused beverages for the Canadian market. This will grant an upper hand to HEXO in the consumable cannabis market which is expected to be legally permissible in Canada in 2019. HEXO is also pursuing an entry into cosmetics, food and vaping products. HEXO is leading the way for smoke-free cannabis innovation in Canada with a portfolio of nine smoke-free products and 15 dried flowers. Decarb, an activated cannabis powder, is HEXO’s leading smoke-free product and was declared the best new cannabis product at the Canadian Cannabis Awards 2017. Its portfolio of products also include sublingual cannabis oil sprays (Elixir) and intimate cannabis oil (Fleur de Lune). Large production facilities, innovative products and strategic alliances to tap the potential markets will go a long way in establishing HEXO’s leadership positions in the cannabis market. CannTrust Holdings is one of Canada’s largest licensed medical cannabis producers. The company was formed in 2014. CannTrust operates a 50,000 square foot hydroponic facility and a 430,000 square foot greenhouse where it deploys a perpetual harvest technology. The company uses four decades of its pharmacy and healthcare experience in the medical cannabis industry which gives it an edge over competition. In addition, the company provides same-day Trust Delivery service for its patients. It also provides free shipping on orders above $90 all over Canada. 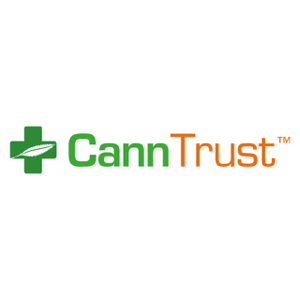 CannTrust’s portfolio consists of oil drops, vegan capsules as well as a variety of dried flower. The company is targeting ingestible cannabis market as the next big thing. The company has also entered into a joint venture with Apotex Inc., a large generic pharmaceutical manufacturer, to develop novel dosage formats and products for sale into more than 85 countries worldwide. CannTrust is developing new and innovative products/ research focusing on responsible use of cannabis, therapeutic use and clinical effectiveness of cannabinoids. CannTrust is expanding its global footprint and became the first and only licensed producer to ship cannabis oil to Denmark. It also received Health Canada’s approval to export medical marijuana internationally. CannTrust is trusted by patients and healthcare practitioners for its 100% pesticide free medical cannabis at affordable prices. The company is ramping up its staffing team, and retail store and online sales channels to support the expected boost in demand from the upcoming legalisation of recreational cannabis. It is one of the most trusted brands of medical cannabis, serving 50,000 Canadian patients, capturing almost 36% of all newly registered patients in Canada. In addition, the company also supports the patients through its patient assistance program. Innovative product portfolio, extensive research and expanding geographic footprint should continue to drive future growth. Established in 2012, The Green Organic Dutchman is a leading organic cannabis company. Aurora Cannabis holds a 15% stake in TGOD. The Green Organic Dutchman runs fully funded Canadian facilities and is targeting to reach 170,000 kg of annual production capacity. TGOD deploys hybrid facilities which have several advantages like low cost, limited contaminants etc. The company’s vertically integrated structure helps to increase margins. TGOD has a presence in both medicinal as well as recreational cannabis market. Additionally, Aurora’s investment of $78 million in TGOD further endorses the latter’s organic business model. The Green Organic Dutchman has plans to expand sales to three continents including Canada, Latin America and Europe by end of 2018. TGOD has secured exclusive licensing deals in Canada and select international markets. In Canada, the company is strategically located to reach out to high population areas and benefit from cannabis tourism in Ontario and Quebec. The company has made a mark with its proven diverse products, strong revenue growth, and intellectual property. It is favorably positioned to benefit from growing demand for organically grown cannabis products, as its is one of the only two certified organic producers in Canada. Nearly 57% of medicinal cannabis consumers in Canada prefer organically developed products. As with organic foods, these products are also priced at a premium. TGOD’s extensive R&D facilities focuses on developing edibles, topicals, skin-care, vapes, water soluble solutions etc. The company is also developing a 40,000 sq. ft. R&D facility for researching and developing cannabinoid infused beverages. This facility will also pave the way for introducing beverage and alcohol products into the cannabis market. In today’s times when people are increasingly conscious about their health, The Green Organic Dutchman stands in a good position to benefit from its portfolio of premier organic products and cannabis infused drinks. OrganiGram is a licensed medical marijuana producer based in Canada. OrganiGram has a large portfolio of products and brands targeted towards the medical and adult recreational markets. The company was recognized for its product quality and service at the Canadian Cannabis Awards. The company has a current production capacity of 36,000 kg per year which is expected to grow 113,000 kg by the end of next year. Expanding capacity will not only lower its costs and expand its product portfolio in the profitable cannabis segment, but also generate industry leading yields. The company has sufficient cash to fund the Phase 4 expansion and expects to be cash flow positive around the launch of the adult recreational market. OrganiGram’s existing production facility is one of the lowest cost locations in Canada. 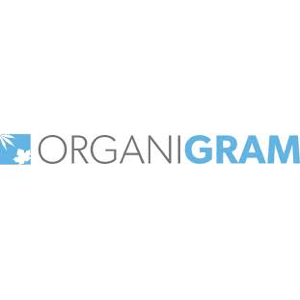 OrganiGram has entered into a number supply agreements for distribution of its cannabis products in different regions. The company currently has supply agreements for the recreational cannabis markets in Alberta, Manitoba, New Brunswick, Nova Scotia, Ontario, and Prince Edward Island. OrganiGram has also partnered with Alpha-Cannabis to export medical cannabis to Germany, which is one of the largest cannabis market other than North America. The company is also commencing international export to Australian medical cannabis partner Cannatrek Medical. It can now develop, test and export an extensive range of products through its dealer’s license. South America, Europe and Australia are OrganiGram’s international target markets. OrganiGram is investing in technology innovations and has developed biofermentation technology to produce cannabinoids at a lower cost in collaboration with Hyasynth Biologicals. This technology helps to naturally produce cannabinoids without the need to grow the cannabis plant. The company is expected to benefit from consumer base growth with legalisation of adult recreational market and it is expanding production to address the expected growing demand. OrganiGram has registered a fast growth rate in the number of patients this year. OrganiGram was a winner of two out of six product category awards at Canadian Cannabis Awards in 2017. High quality products, an established customer base, increasing production capacity positions Organigram to become a leading producer in both medical and adult recreational markets. DISCLAIMER: Please note that this blog post represents my opinion and not an advice/recommendation. I am not a financial adviser, I am not qualified to give financial advice. Before you buy any stocks/funds consult with a qualified financial planner. Make your investment decisions at your own risk – see my full disclaimer for more details. DISCLOSURE: Please note that I may have a position in one or many of the holdings listed. For a complete list of my holdings, please see my Dividend Portfolio.